Victorian ankle boots with inner tuxedo fabric and matching outer straps. 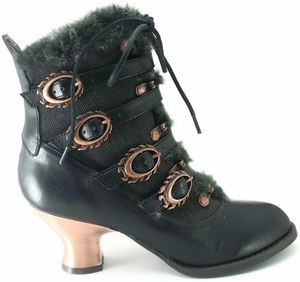 Criss cross front lace fastened by bronze eyelets and lined with matching faux fur. 2 1/2" retro ABS heel with heated bronze coating.